When you need fast cash to deal with an unexpected expense in Nevada, a title loan, signature installment loan or a payday loan is an option to consider. Nevada Title and Payday Loans, Inc. is ready to help you get the cash you need to handle almost any cash emergency. Just reach out to us today by filling out a quick and convenient online request form and a Nevada Title and Payday Loans, Inc. representative will contact you shortly to help you get started. See how easy getting extra cash can be when you visit your local Nevada Title and Payday Loans, Inc. today. With up to 15 stores set up across the state of Nevada, you won't have to go too far to get the money you need today. At Nevada Title and Payday Loans, Inc we offer competitive title loans. Turn your car into cash for medical bills, auto repairs or unexpected expenses. Don't have a clear car title? 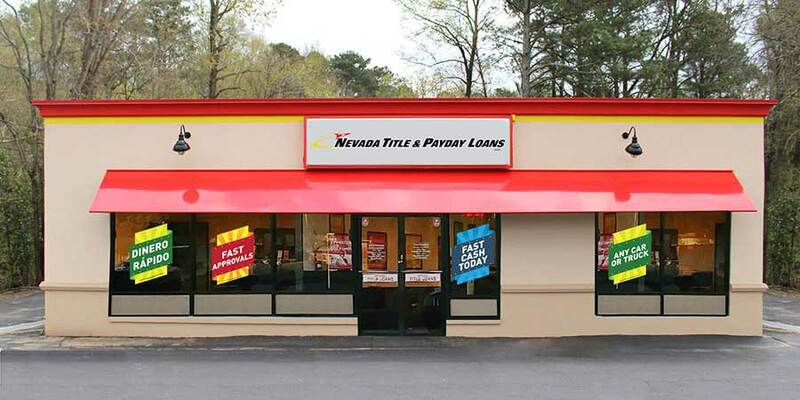 Nevada Title & Payday Loans, Inc offers payday loans as a easy alternative to get the cash you need. Don't own a vehicle? Nevada Title & Payday Loans, Inc. offers signature installment loans as an alternative to get the cash you need.